Energy Technologies’ forte is the design and manufacture of rugged, high reliability products for critical applications in both normal and hostile environments. ETI’s power products, available as either standard or custom versions, include AC and DC Power Distribution Units (PDU), Uninterruptible Power Systems (UPS), Integrated Power Systems (IPS), Frequency Converters, Power Conditioners, and AC and DC Power Supplies. 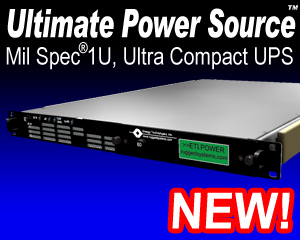 Rugged Power Power Distribution Units come in all shapes and sizes to meet the customer’s requirements. Features range from simplistic to sophisticated intelligence, from local control to remote control, from commercial-off-the-shelf (COTS) to entirely custom. Load controls can be a singular master or individual operation. Control choices include switches, circuit breakers or solidstate relays; single, double or triple pole. Intelligent features integrate the ability to monitor and alarm UPS operation, rack or equipment temperatures and safety interlocks. Alarms features incorporate first-out flashing LEDs, adjustable audible alarm, alarm acknowledge, and alarm contacts. Control functions include manual on/off operation or automatic shutdown via thermal or safety interlocks. 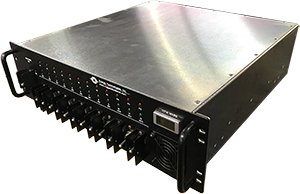 Energy Technologies manufactures a wide variety of Power Distribution Units (PDU) products due to the modularity of the product line and the diverse requirements of our clients. ETI provides custom powerbackup and conditioning solutions for the equipment in oil fields.. Our Uninterruptible Power Systems (UPS) have been configured in rugged NEMA cabinets with special metal "roofs" to help dissepate heat even in harsh desert climates. ETI supplies backup power and power conditioning solutions for offshore oil platforms around the world. Our Uninterruptible Power Systems (UPS) can be secured into NEMA cabinets to function in harsh conditions or configured into standard equipment racks for a wide variety of applications.